Squash Fitness Tests: How Useful for Squash Coaches? The March 2009 issue of the International Journal of Sports Physiology & Performance (IJSPP) (so hot off the press!) 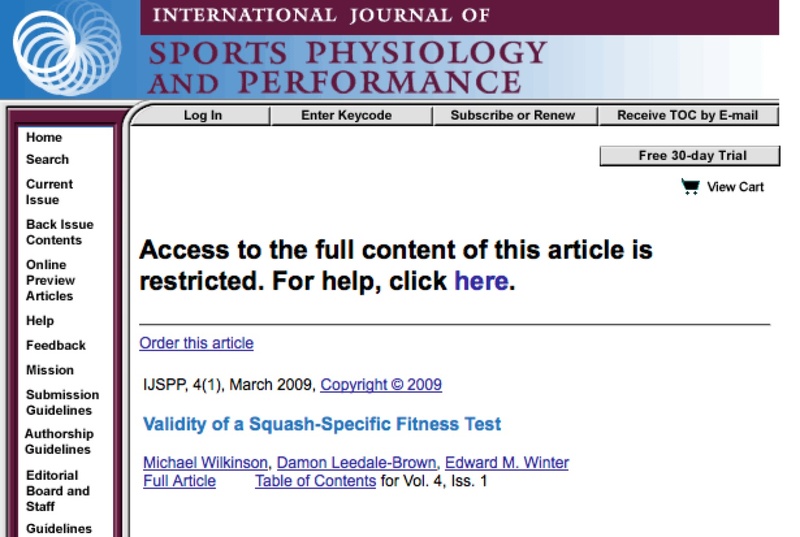 contained an article on a squash-specific fitness test – one of the authors was Damon Leedale-Brown – well known for both his training activities with top players and Colorado squash camp at altitude and also as the recently appointed Promotions Coordinator for Prince Squash. You are currently browsing the archives for the Research Digest category.